GAVIN McInnes is heading down under to "recruit soldiers". 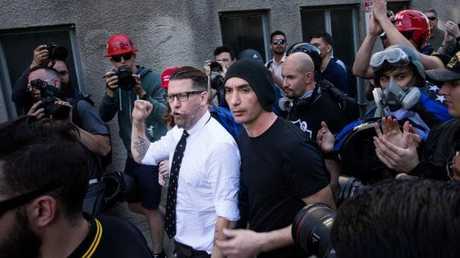 The British-born Canadian comedian and founder of the pro-Trump men's rights group The Proud Boys - whose members are notorious for engaging in street brawls with left-wing Antifa protesters - is the latest right-wing commentator to set his sights on Australia. 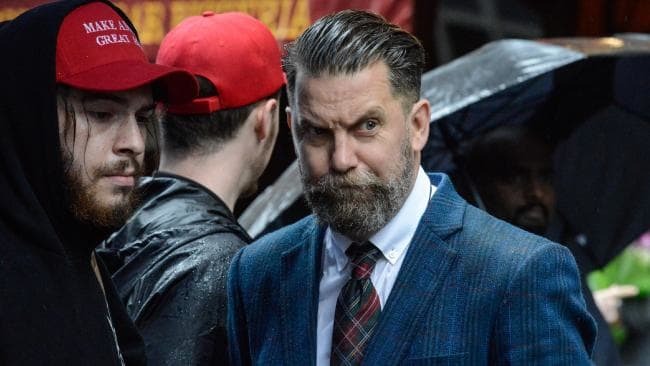 McInnes and The Proud Boys were banned from Twitter earlier this month for being "violent extremists" ahead of the second anniversary of the deadly Unite the Right neo-Nazi rally in Charlottesville, Virginia. The 48-year-old shot to fame in the '90s as the co-founder of Vice magazine but left in 2008 over "creative differences". He did stints at Fox News, The Blaze and Rebel Media before joining Conservative Review's online TV network CRTV. 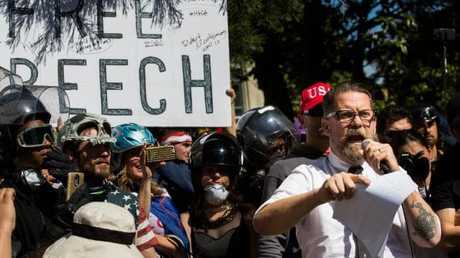 "The left has declared war on free speech and we've declared war on them," he said in a statement. 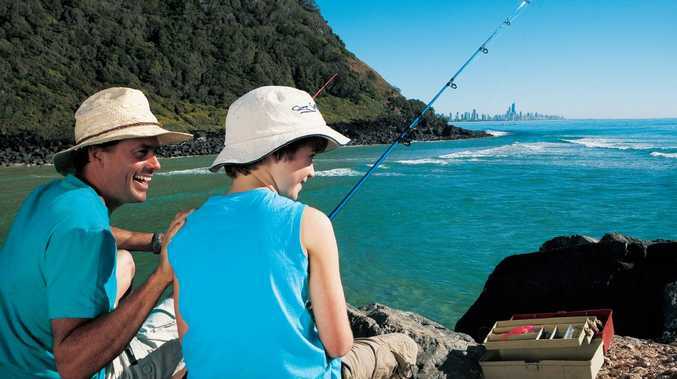 "Why Australia? It's the last vestige of masculinity in the free world, I'm coming to recruit soldiers for the war on censorship." McInnes, who describes himself as a libertarian and prefers the term "New Right" to "alt-right", has been labelled by critics as sexist, racist, white supremacist, Islamophobic and transphobic among other things. The tour of Perth, Adelaide, Sydney, Melbourne and Gold Coast from November 2-11 is being organised by Penthouse magazine, which was behind right-wing provocateur Milo Yiannopoulos' controversial visit to Australia last year. Organisers say McInnes' is "known for his raucous and irreverent take on the world and controversial, no holds barred opinions", with his "brash, comedic style of commentary" earning him "millions of fans". Penthouse publisher Damien Costas said allegations that McInnes was a white supremacist were "nonsense". "These people are not white supremacists, they're western supremacists, they believe in the great values that built the western world," he said. "Free speech is the cornerstone of western civilisation. "Anyone to the right of Chairman Mao is a fascist by the standards of the New Left. The problem is words like Nazi and fascist have been misappropriated and reappropriated by the modern left to suit their purposes, to shut down debate. "It's far easier to shut debate down than argue it out. They don't have an argument. Every minority group in history has seen free speech as their greatest ally because it is the means through which they argue against their oppression. "Handing over free speech to the state to determine what's offensive and what's not, or to the left in general, is the biggest slippery slope we could ever hope to go down." Victoria Police slapped Penthouse with a $50,000 bill after violent left-wing protesters attacked Yiannopoulos fans outside the Melbourne Pavilion in Kensington in December. Up to 300 police were required to break up the fights. Last month, Canadian right-wing commentators Lauren Southern and Stefan Molyneux were similarly hit with a $68,000 bill by Victoria Police "for the use of police resources" due to the presence of left-wing protesters. Despite the outstanding bill, Yiannopoulos earlier this week announced a second Australian tour scheduled for late November. He will appear alongside conservative US commentator Ann Coulter. Mr Costas said he believed the bill was "completely illegal" and he had already told the police "if you want to pursue this, I'm happy to let a judge decide". "Our security negotiated with all the police in every state, they knew exactly where we were going to be," he said. "We negotiated a user-pays model upfront, we paid for what we were asked to pay for. After the event, the Police Minister saw an opportunity to do some grandstanding." He predicted similar protests for McInnes' tour. "I do expect it," Mr Costas said. "But to be fair, the left didn't actually get as violent as everyone thought they did (in Kensington). The residents of the housing trust, a Sudanese group, came down and caused the problems. "They're a protected species, no one was allowed to talk about that. The police weren't allowed to touch them. They were throwing rocks the size of footballs across the street. "I said to one of the police, 'Why don't you arrest these people?' They said, 'We can't touch them, they'll have our badges if we do.' It's a massive political issue in Melbourne. "As far as Gavin McInnes is concerned, the man is a comedian who makes fairly politically incorrect points, but he's a comedian nonetheless. If we're going to be charging for police presence for a comedian, God help us."